Printed on a white, Gildan brand, 100% cotton basic tee. 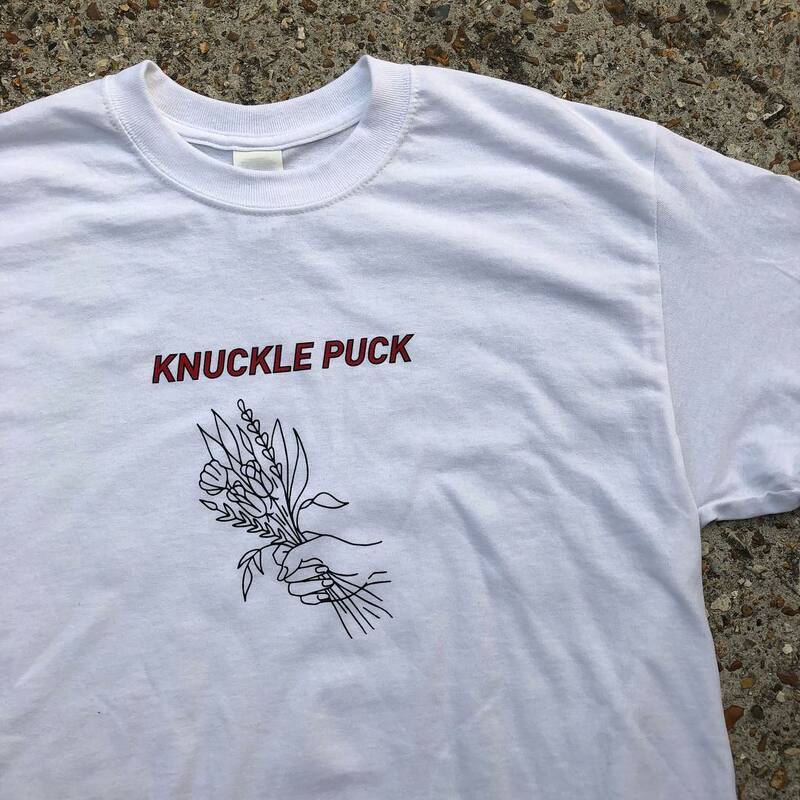 Thank you for supporting the Official Knuckle Puck Merch Webstore! © 2019 Knuckle Puck. Store managed by Second City Prints.